There’s also an buddy system with students from Nürnberg. 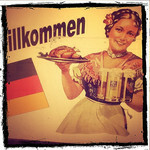 They know your situation and will help you to get to know Nürnberg as well as other students. The International Relations Office takes care for that a friendly Nürnberg buddy will be waiting for you on your arrival or waits to get in contact with you by email. This introductory week is specially designed for all students coming to Nürnberg (School of Business & EWF). 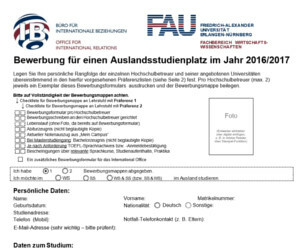 For all other students, the central office of international affairs organizes a similar course and a buddy system in Erlangen and some parts are obligatory for both groups, but we will inform you about that. Please make sure, that we have your current email-address to establish contact. Often Hotmail-accounts may cause some problems (spam filters), so we recommend other services as gmail.com, web.de or gmx.de.